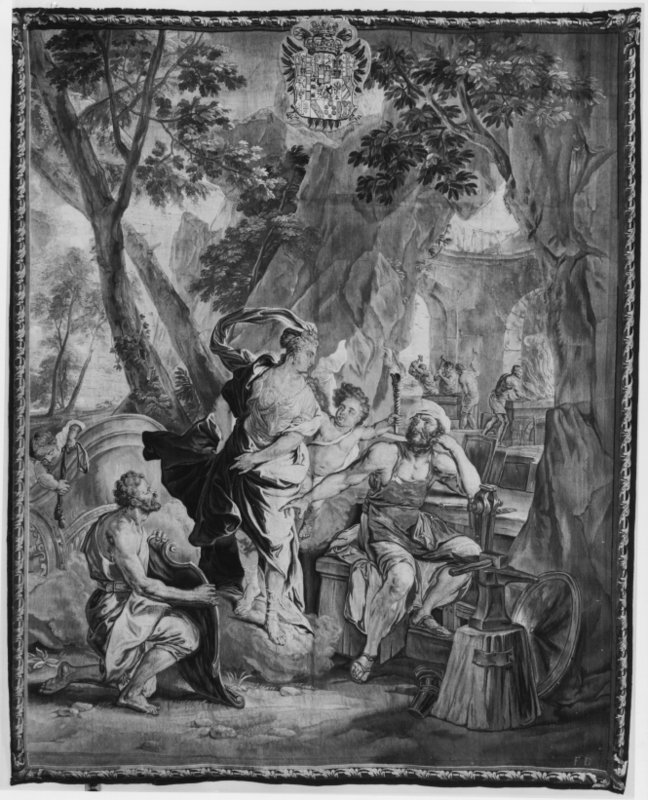 Thetis Visiting the Forge of Vulcan, Tapestry designed by Jan van Orley and woven by van der Borcht, ca. 1740-1742. Thetis visiting the forge of Vulcan, Flemish tapestry from Brussels designed by Jan van Orley and woven by Gaspard, Pierre, and Franz van der Borcht, ca. 1740-1742.